Over 97% of your customers will use the internet to find their next product or service. Lead Swarm will help you develop a marketing strategy to be in line – and online – with the majority of your customers. Don’t let the online marketing revolution leave you behind. We help you get a plan that works. 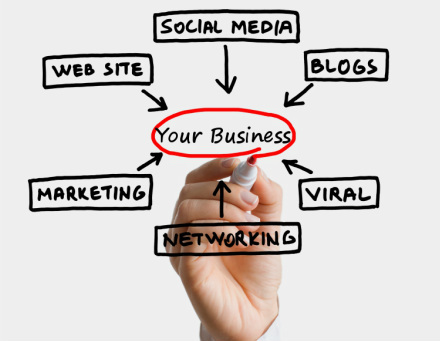 Establish and maintain an online presence for the lowest cost and with the least amount of effort. Get traffic to your site from perspective customers that are interested in what you are buying. Find out how to convert visitors into paying customers so you can make more money with less stress. 97% of consumers look online for local products and services. Although nearly all consumers look online for local products and services, 58% of U.S. small businesses do not have a website. Many of these businesses are invisible to potential customers. Even those with a website don't have a marketing strategy in place to succeed. Getting online, and having a effective marketing strategy gives businesses the opportunity to find new customers, increase sales and grow. If you are going to survive in this digital age you not only need to get your own web portal, but you need a solid plan to navigate the ever changing world around us. We give you all the tools you need.